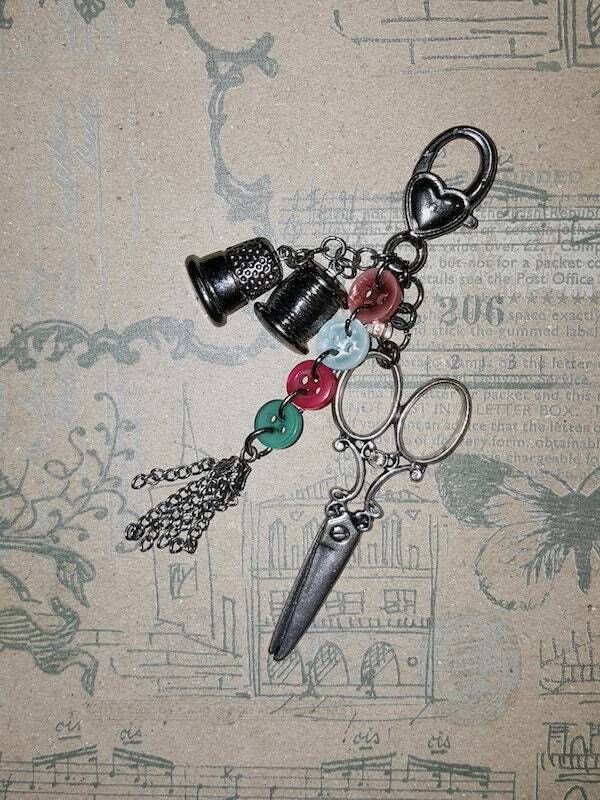 Vintage Scissor Fobs handmade for the stitchery artist in you. 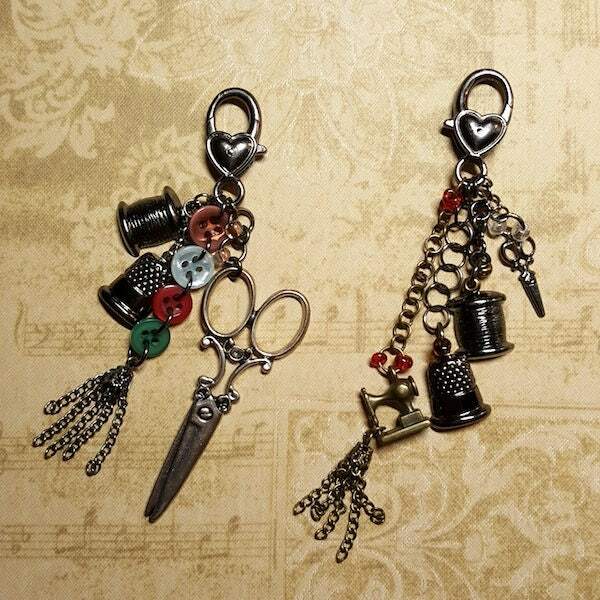 These cute scissor fobs will keep your snips from getting mixed up with your friends scissors while at retreats and quilting bees...or use one on your rotary cutter. 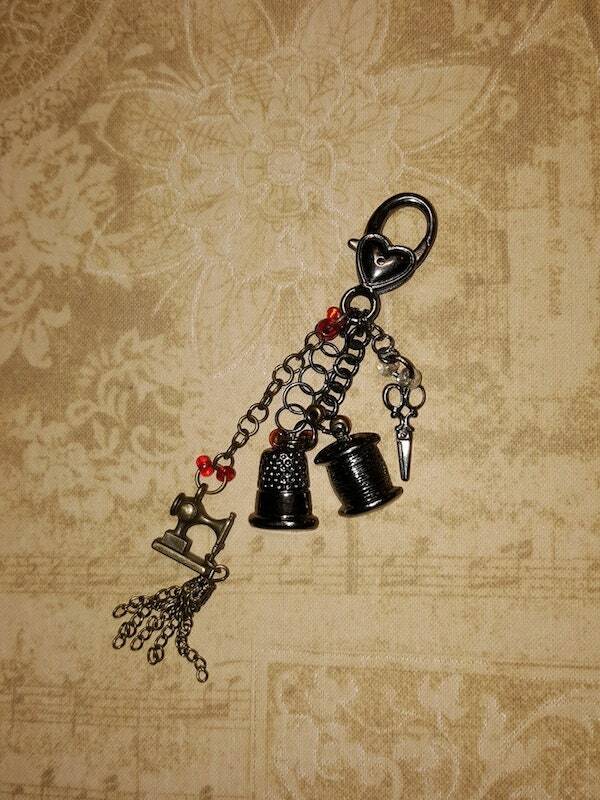 Embellished with vintage charms, buttons and beads... each unique to its own. Scissor Fobs are Not Returnable.